Hello buddies. 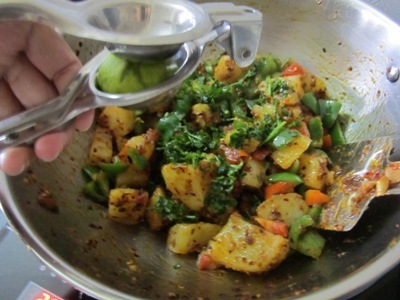 Today I am sharing the recipe of Batata Harra or Lebanese Spiced Potatoes. This is a Lebanese dish and it’s full of wonderful flavours of the freshly pound spices. You can say it’s a potato salad recipe. 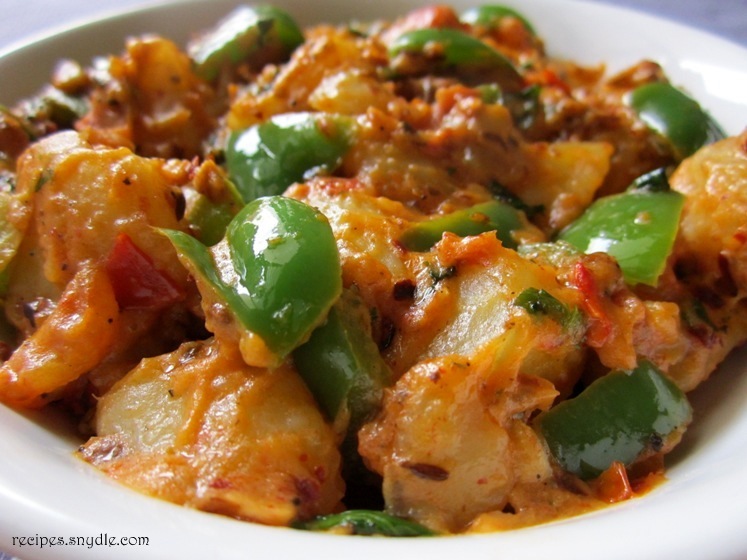 This is one of the best potato recipes I have had in a long time. 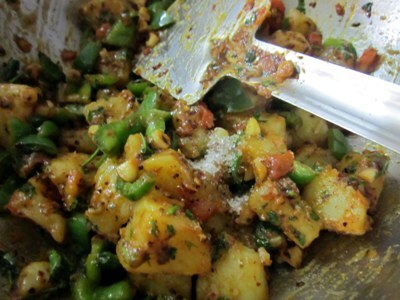 This particular recipe is adapted from Chef Ranveer Brar’s recipe for Batata Harra. Almost all the ingredients are same, except for a couple of them. Also, I found the original recipe less spicy for my taste. So I also bumped up the amount of chillies. It goes well as a side dish with grilled chicken. 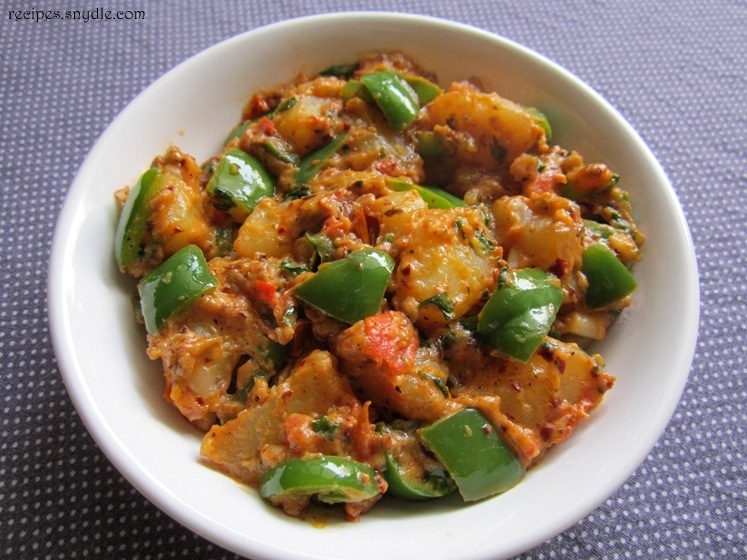 I have tried having it with chapati and it tastes like a brand new version of aloo-shimla ki sabzi! Equally delicious either way! 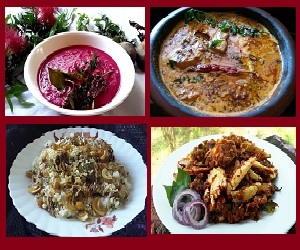 It completes your meal and takes the taste factor up a notch as well. 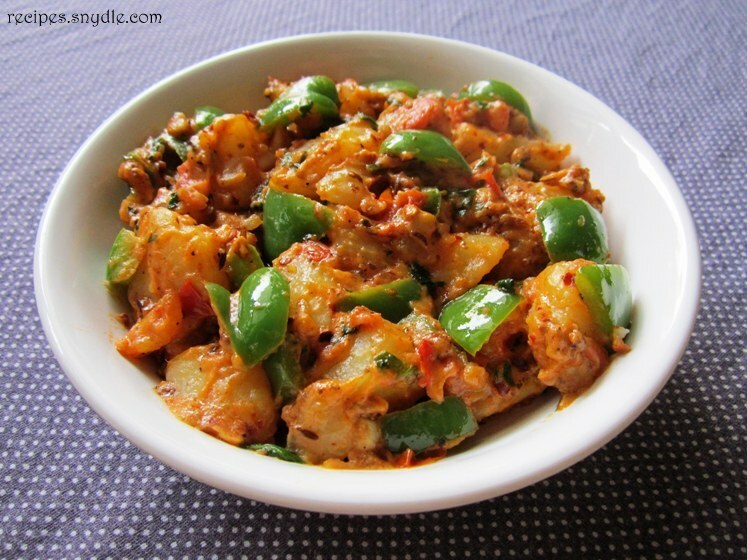 So let’s start with this delicious gem of a Lebanese recipe of batata harra. This recipe yields 3-4 servings. 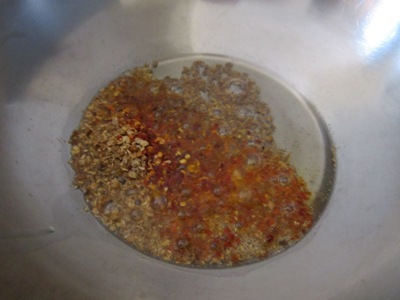 Heat sufficient oil in a skillet. 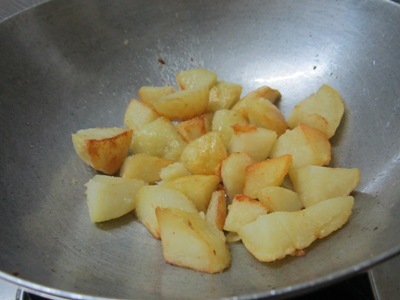 Add in the cubed, boiled potatoes and sprinkle some salt. 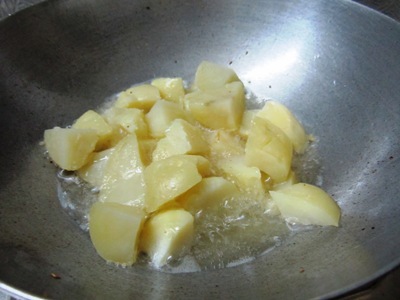 Deep fry the potatoes till they turn crunchy and golden brown. Drain them well. Take them out into a bowl. Keep aside for a while. In another pan or skillet, heat 1 tbsp of oil. 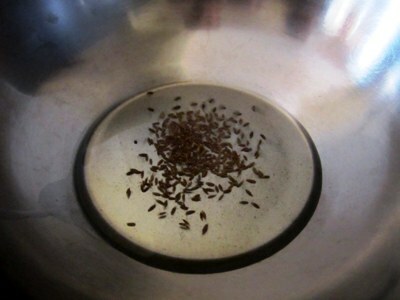 Add in the cumin seeds and allow them to splutter. 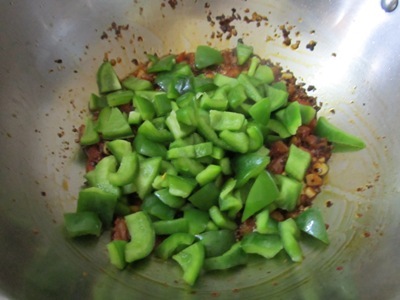 Keep the heat to low and add in the chilli flakes and pounded coriander seeds. Sauté for a few seconds and try not to burn the spices. 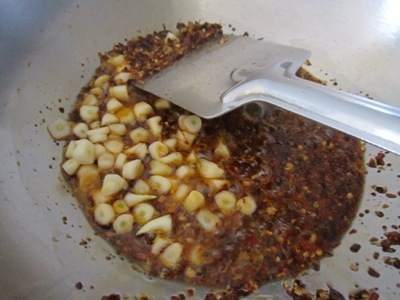 Add in the garlic and sauté on low flame for half a minute, stirring constantly till the raw smell goes away. Add in the tomato, but reserve 1/3 of it for later use. 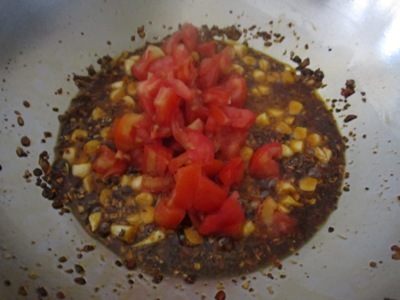 Cook the tomato till it softens and you have a nice gravy. 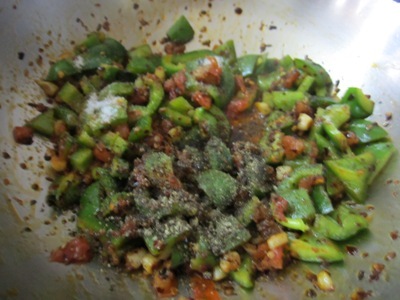 Add in the capsicum and sauté it for half a minute. Do not over cook it. We need it to stay crunchy. Add in the salt and black pepper. Mix well. 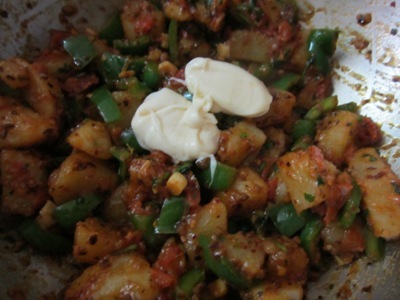 Add in the fried potatoes and mix well. Add in the remaining 1/3 of the tomato. 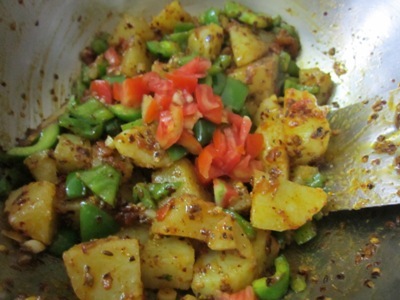 Let the potato get nicely hot and coated with spices. Sprinkle lemon juice and add cilantro. Add sugar. Mix well. The potatoes will have gotten hot by now. Switch off the flame and mix in 4 tbsp of mayonnaise. Mix well. Batata Harra is ready. Serve, hot warm or cold with your favourite grilled meat or pot roast. Enjoy!